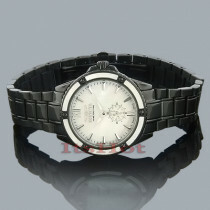 Invicta Diamond watches are exceptional watches for the money. 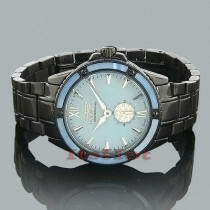 Invicta Diamond watches are classic and impressive in design. From pocket watches to traditional wrist watches to a diamond Invicta watch , the Invicta watches have been the signature timepiece for many individuals.We are one of the largest dealers of Invicta watches. We stock over several hundred different styles, including many new and classic models. 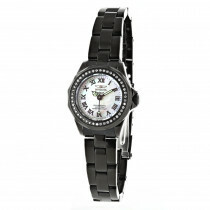 Search for the diamond Invicta watch that defines your sense of fashion and style. If you don't find the watch you are looking for on our site, please contact us toll free in US: 1-866-423-6262, 212-398-3123 outside USA, and we can assist you further. 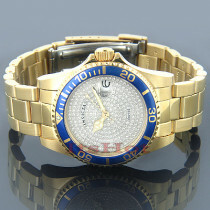 Buy with confidence: each Invicta Diamond Watch we sell is guaranteed to be lowest priced, brand new and 100% authentic! All Invicta Diamond Watches come in original boxes, with paperwork and full Invicta Watches factory warranty. Each diamond Invicta Watch is shipped by safe, fully insured FedEx mail with signature confirmation. I would recommend this watch to all who are looking for a casual diamond watch. This watch was a gift for my brother at Christmas. he loved it. I love this Invicta watch, it's so elegant. You can wear it morning or evening. love this watch so much! Love the dial and the classy design. Looks really cool.